Despite having released a single at the age of 10 in Iceland and some other collaborations, Gud Jon‘s solo music career really starts today with the premiere of “Alright For Night”. 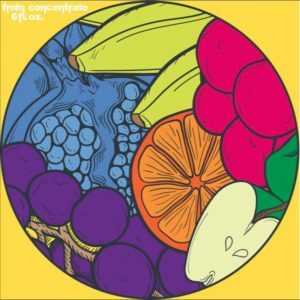 The track is taken from UK producer Count Counsellor‘s label From Concentrate 6-track EP “6 fl.oz”. Since his first release when he was a child, Gud Jon has kept on being active as a musician as he was a soloist in London Contemporary Voices and provided vocals for Young Fathers. It’s on a remote island in Norway that he has worked on this new single, “Alright For Night”. The track immediately reminds us of James Blake or Bon Iver‘s latest album with an approach that would draw inspiration more from the choral scene than from folk music. The production is a patchwork of crafted electronic and organic elements and loops. Here, Gud Jon‘s vocals form the heart of this track that sounds like an initiatory rite in the deep forest. I’ve always been in a choir so harmonies are a big part of how I work. I co-write with Henry Counsell and Richard Adicott and we experiment by sampling my own vocals through some old Norwegian analog gear to create these massive soundscapes using only my voice. I think of the music as the meditation of a crowd all feeling part of the same thing. Gud Jon‘s “Alright For Night” is part of a 6-track compilation, “6 fl.oz”, which will be released this October. This EP is actually the first official release from the label From Concentrate spearheaded by UK producer Henry Counsell aka Count Counsellor. You can check the tracklisting of this project below. Keep it up with this brand new label via Facebook,Instagram, and SoundCloud.